I recently had a request from one of our customers who wanted an easy / scriptable method to determine the storage allocations on their hosted VMs in our vCloud platform, preferably from PowerShell. That should be easy I thought and set about my usual Google-based research. I initially found this post from Alan Renouf which I forwarded back to the client. Unfortunately, while this achieved part of the answer, this particular customer had a number of VMs which had hard disks attached using multiple/different storage profiles and they wanted to get the details of these too. So I set about writing some code to see if I could get full storage information about the VM and all of its disks. I ended up having to access the vCloud REST API directly for this information but it wasn’t too bad. PowerCLI C:\> $queryHref = $test02.Href + "/virtualHardwareSection/disks"
Querying the API for every vdcStorageProfile for every disk is going to generate a lot of calls for any significant number of VMs, so in the code below I’ve added a hash stored in a global variable which caches these results so that any storageProfileHref which has been seen before doesn’t need to generate an additional API call. So we now have a way of determining all of the information we need, using PowerShell custom objects allows us to write a function which returns all of our VM and storage details in a easily consumable form for further processing. Hopefully you’ve found this post useful, let me know in the comments if you have any issues or would like to see more examples like this. $cloudURL = "<cloud FQDN or IP Address>"
$cloudOrg = "<cloud Organization name>"
$creds = Get-Credential -Message "Authenticate to $cloudOrg Cloud Service"
As part of planning our upgrade from VMware NSX-V from v6.2.2 to v6.2.4 we became aware of the VMware issue KB2146171 (link) which can cause VMs to lose network connectivity when vMotioned to other hosts following the upgrade. Obviously wishing to avoid this for our own (and customer) VMs, we raised a support case to obtain the VMware script to determine how many of our VMs (if any) were going to be affected. Unfortunately the VMware script we were supplied was configured to run *after* the upgrade had already been completed. Fortunately the VMware utility supplied (vsipioctl – a binary to be run directly on ESXi hosts) could tell us which VMs were affected prior to upgrading. Connect to vCenter and enumerate all ESXi hosts. Enable SSH access to each host in turn. Upload the VMware vsipioctl utility to the host /tmp/ folder and make it executable. Run vsipioctl and parse the return information. Build a table / CSV of all VM network interfaces with the results of the vsipioctl utility. Disable SSH on the hosts once done and move on to the next host. At first I tried using PuTTY plink.exe and pscp.exe from PowerShell to perform the SSH and SCP file copy to the hosts, but had serious problems passing the right password & command line options due to the way PowerShell escapes quoted strings. In the end I found it easier to use the PoshSSH PowerShell library (https://github.com/darkoperator/Posh-SSH) for these functions rather than shelling out to PuTTY executables. Note that we usually leave SSH access disabled on our ESXi hosts, so the script shown enables this and then re-disables SSH after running – adjust if necessary when using in your own environments. If you need to run this check for your own environment you will still need to open a VMware support call to obtain the vsipioctl binary as far as I am aware as I don’t believe this is available any other way. The script is shown below – hopefully this will be useful for some of you, just make sure you test properly before running against a production environment. Luckily in our case the script proved that none of our VMs are impacted by this issue and we can safely proceed with our NSX-V upgrade. $vCenter = "<vcenter FQDN or IP address>"
$credVCenter = Get-Credential -Message "Authenticate to vCenter Server"
$return = Invoke-SSHCommand -SSHSession $ssh -Command "uname -a"
$dirlist = Invoke-SSHCommand -SSHSession $ssh -Command "ls -l $target_file"
$dvflist = Invoke-SSHCommand -SSHSession $ssh -Command "summarize-dvfilter"
$fwexport = Invoke-SSHCommand -SSHSession $ssh -Command "/tmp/vsipioctl getexportversion -f $VMnic"
This week Microsoft released Technical Preview 2 (TP2) of their ‘Cloud in a box’ Azure Stack product. This is scheduled for release in mid-2017 to allow enterprises and service providers to run Azure consistent services from their own datacenters. TP2 has a number of additional features over TP1 released earlier this year, but doesn’t support installation as a virtual machine. The hardware requirements are detailed here but basically you’re going to need a reasonably good spec server with enough local hard disks to be able to install it. As I had good success running the previous TP1 release of Azure Stack in a virtual machine I thought I’d see if the same could be done with TP2. As with TP1, installation is only supported for a single machine node (clustered multi-node deployments are likely to come with TP3). Of course installing TP2 as a VM is completely unsupported by both Microsoft and VMware so please don’t bug them with any issues – since TP2 is definitely not for production use this shouldn’t be a huge concern. After several failed attempts I finally worked out a method to allow installation of TP2 as a virtual machine using VMware ESXi 6.0 Update 2 as the hypervisor platform. The key is in building the host virtual machine correctly and in modifying a couple of places in the installation PowerShell scripts to bypass the checks for physical hardware. To start, create a new virtual hardware v11 Windows VM with appropriate sizing (I used a 200GB system disk, 128GB of RAM and 12 CPU cores configured as a single socket / 12 cores arrangement). Add a new SCSI host bus adapter and set the ‘bus sharing’ for this adapter to ‘Physical’ – this is required to allow the Storage Spaces Direct (S2D) configuration in the Azure Stack installer to correctly configure clustered storage. Make sure that ‘Expose hardware assisted virtualization to the guest OS’ option is enabled to allow the VM to run the Hyper-V role and nested VMs. Add 4 new virtual hard disks of at least 150GB size each (I used 200GB for each disk again) and configure these as ‘Thick provisioned eager zeroed’ and make sure they are attached to the new (physical bus sharing) SCSI adapter. Use a single VMXNET3 network adapter connected to a network that has a DHCP server available on it. Change portgroup security for the network to which the VM is attached to allow ‘Promiscuous Mode’, ‘MAC address changes’ and ‘Forged Transmits’. Set the VM to boot to BIOS on next power up and when it boots make sure to set the BIOS date/time to match your current timezone date/time. Next power on and install a base operating system on the VM (I used Server 2012 R2, but it really doesn’t matter as this environment is only used to bootstrap the installation process). Once the server is running, download and unpack Azure Pack TP2 and move the extracted ‘CloudBuilder.vhdx’ file to the root of the C:\ drive. Following the Microsoft instructions to download and run the ‘PrepareBootFromVHD.ps1’ script which will reconfigure the VM to boot from the CloudBuilder.vhdx file and restart the VM. Note: Depending on disk speed It can take a considerable time to extract CloudBuilder.vhdx from the TP2 archive – you might want to keep a copy of it elsewhere on your network (or on the VM disk if you have space) in case you need to restart the installation from scratch. 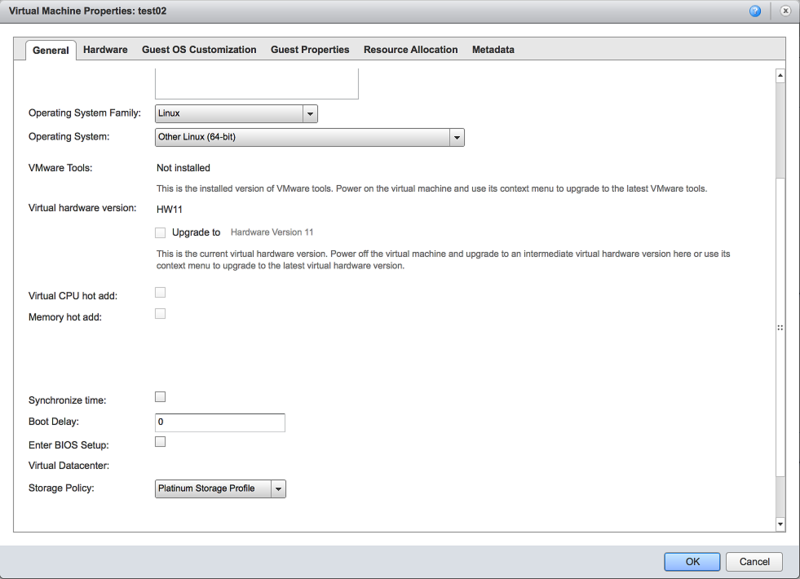 Install VMware Tools (required to add the VMXNET3 network driver) and restart when prompted. – See note below, E1000 network adapter may be a better choice. (Optional) Rename the computer and restart when prompted. (Optional) Change the VM’s IP address to a static IPv4 address (rather than just using DHCP) so you can easily locate it on the network later – note that DHCP is still a requirement for the other VMs unless you use the Microsoft documented installer switches to allow use of a static addresses. Make sure that the date/time and timezone are set correctly and match the VM BIOS setting (Can’t stress this enough, I had at least 3 failed installation attempts due to date/time problems). Then save the file. (The second change should not be necessary if you’ve built the VM with at least 12 cores, but the installation script appears to detect the number of physical cores as ‘0’ in a VM so this is required). You should now be able to run the CloudDeployment\Configuration\InstallAzureStackPOC.ps1 script and everything should work….. The installation process will take a considerable time, but hopefully if you’ve configured everything correctly you’ll have a working Azure Stack TP2 installation at the end with all of the required infrastructure servers running as Hyper-V guests within the VM. NOTE: I hit an issue with installation failing at step 60.61.93 and thought this was related to installing in a VM, but it appears this is a more general issue with TP2 installation – see this MSDN thread for possible solutions if you encounter this error. If you encounter any issues with the installation I also recommend following the troubleshooting advice here. Best of luck trying this out for yourselves! Update 7th Oct 2016: If you’re having issues with guest (nested Hyper-V) VMs crashing, try using the E1000 network adapter for the host instead of VMXNET3, I’ve been doing some testing with this and E1000 may be a better option and prevent this occurring. Tom Fojta wrote a great blog post about the new capability in vCloud Director 8.10 to import running VMs into vCloud Director. This is a huge asset in migration scenarios where customers can’t afford outages when being migrated into the vCD environment. Unfortunately the API syntax to actually initiate the import is a little convoluted and not the easiest process to manage. I set about writing a PowerShell script to significantly simplify the process of initiating a live-import operation. The script itself is available from github at the following link: https://github.com/jondwaite/vcdliveimport. Prompts for a credential to be used to connect to both vCloud Director (System context) and vCenter – if you have different usernames/passwords for each you’ll need to adjust this. Enumerates the available vCenter instances registered as Provider Virtual Datacenters (PVDCs) in vCloud Director and allows one to be selected as the source vCenter for the migration. Lists the available VMs in the selected vCenter instance, filters this list based on selectable criteria (e.g. don’t offer to import ‘Guest Introspection’ VMs) and allows the source VM to be selected. 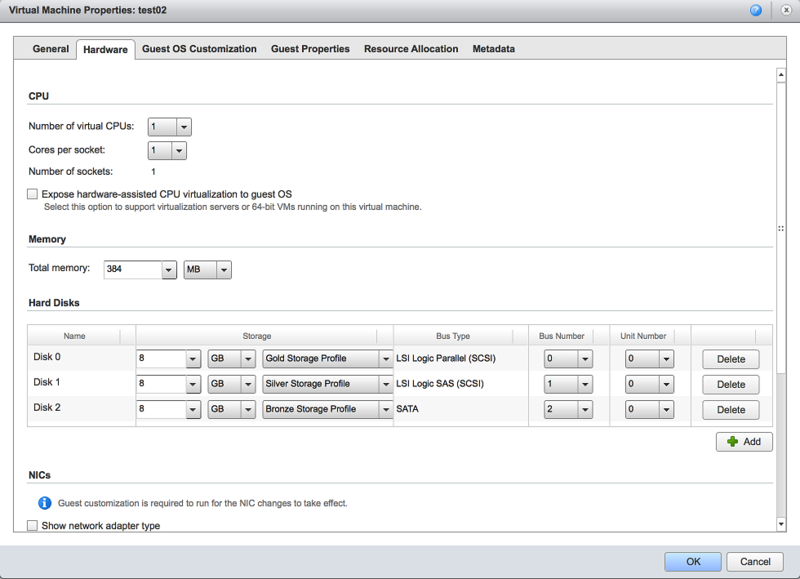 Lists available destination Virtual Datacenters (VDCs) in the vCloud Director environment and allows the destination VDC to be selected. Displays the appropriate POST request information to be submitted to vCloud Director to initiate the live-import of this VM. Optionally – Submits the REST API request directly to the vCloud Director environment to actually initiate the import process. An example transcript of this process is show below. Hopefully this helps someone else out and helps to make it easier for you to live-import running VMs into vCloud Director. Selecting vc01 as only pVDC vCenter found. Selected VM testvm01 for live import to vCloud. <Task cancelRequested="false" expiryTime="2016-10-31T11:27:25.312+13:00" operation="Importing Virtual Application testvm01(ff1a9021-2c21-4378-99c7-b77bdaf3e9e6)"
Sometimes you just need to create a new vApp with no contents at all – maybe for testing, or maybe you want to populate it with VMs built ‘from scratch’ rather than cloned from templates. This is easy to do in the vCloud Director web UI – you just skip the addition of any VM templates or new VMs and can easily create empty vApps, but how about programatically? The VMware documentation is remarkably slim in this regard – all the documented methods I could find for vApp creation require either cloning from existing vApp templates, from existing VMs or from uploaded OVF files. So how do we create a brand-new empty vApp? Turns out it’s pretty simple – once you discover the ‘composeVApp’ method on an Organization VDC supports creation of empty vApps. If using the REST API we can simply create an XML body document of type ‘composeVAppParams’ and submit it against the OrgVDC’s /action/composeVapp link. We then ‘POST’ this document body to the link: ‘https://<Cloud Server DNS name or IP address>>/api/vdc/<ID of our VDC>/action/composeVApp’ not forgetting to add a header of ‘Content-Type: application/vnd.vmware.vcloud.composeVAppParams+xml’ to the POST request. No idea if this is ‘officially’ supported or not – so use at your own risk and be aware that the implementation could change in a future release and break this (although I’d be surprised as this is almost certainly the action that the vCD web UI is submitting ‘behind the scenes’ when you manually create an empty vApp). In part 1 of this series I posted some code for a PowerShell module to manipulate (view/add/delete) metadata tags on vCloud Director objects. As promised, in this followup post I’ve given some examples of syntax and possible use-cases for the module. (assuming you’ve saved the code from part 1 as C:\PowerShell\CIMetadata.psm1). This can also be added to your PowerShell profile so that the cmdlets are always available when you start a new PowerShell session. So we have some useful-ish metadata on the vApp itself, but nothing for the individual server VMs. Let’s say we have a script that runs (or we can call) after our VM backups run that we want to use to provide feedback on when our individual VMs were last backed up. We could do this by adding a ‘LastBackup’ key to the VM with a Date/Time value of ‘Now’ at the time the backup runs and a boolean value of ‘True’ to a key ‘LastBackupSuccess’ to indicate this was successful. Note that we’re using the special value ‘Now’ for a Date/Time value to indicate the current date/time. These are just a couple of examples of how manipulating vCloud Director metadata from PowerShell could be useful, I’m sure there are many other use-cases out there too – e.g. indicating replication status to a remote cloud/data center or maintaining a reference link between another system and vCloud VMs. 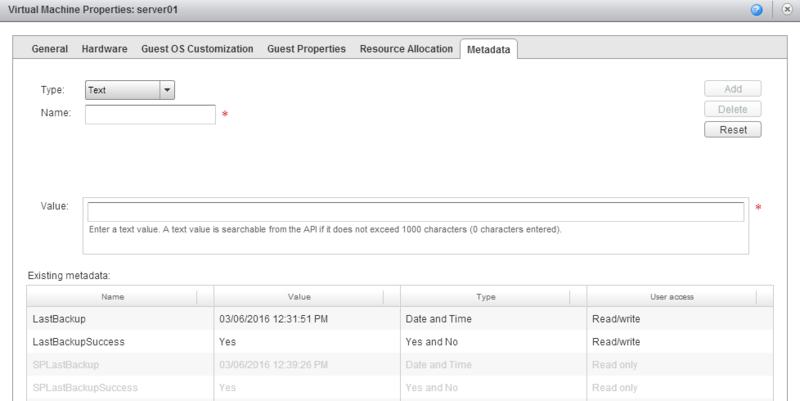 Don’t forget that you can also attach metadata to most vCloud Director objects in addition to vApps and VMs. Let me know in the comments if you’ve found this useful and if there’s any other use-cases or scenarios you’d like to see. One of the frustrations dealing with the vSphere Web Client has always been the requirement for a browser plugin to import/export OVF templates. In vSphere 6 and vCloud Director 8 this has reached a whole new level of frustration. The issue is that both vSphere 6 and vCloud Director 8 offer to download and install a package called ‘VMware-ClientIntegrationPlugin-6.0.0.exe’. In an ideal world this plugin once correctly installed would work for the OVF import/export/upload/download functionality in both products… right? Meanwhile in this world, although the package names are identical, the functionality is not – if you’ve installed the vSphere version then you can’t upload/download OVFs or ISOs in vCloud Director and if you’ve got the vCD variant installed then vSphere OVF import/export doesn’t work. Uninstalling and reinstalling the ‘correct’ version fixes the problem (until you need the ‘other’ one again), but can be easier said than done – particularly in the case of shared desktop server administration environments where other users having a browser session open will prevent reinstalling browser plugins. So the easiest way to tell is the smaller 48.8 MB file is vCD and the larger 94.9 MB one is vSphere. If (as I do) you often need to use both versions then maybe consider setting up separate management desktops (or virtual apps) for each so you can easily reach one that’s going to work for you. Hopefully VMware will fix this in a future release and provide a single integration plugin that works across both products. VMware have just released vCloud Director for Service Providers v8.0.1 (http://pubs.vmware.com/Release_Notes/en/vcd/801/rel_notes_vcloud_director_801.html) which appears to have reverted the vCD Client Integration product to version 5.6.0 – there is also mention in the release notes on the possible clashes between vSphere and vCD client integration toolsets so it appears that VMware are at least aware of the issue.